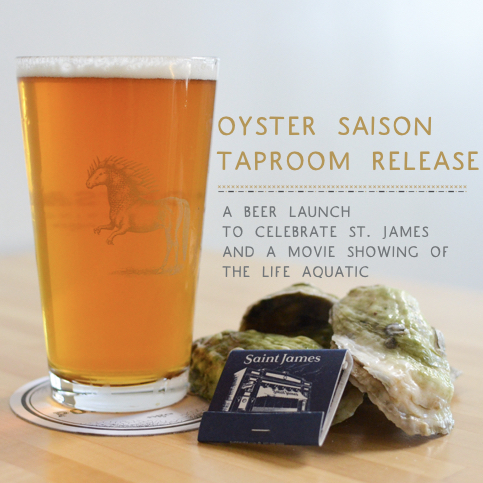 Enjoy our new collaboration beer with St. James Seafood Restaurant and Raw Bar on October 18th in the taproom! We're tapping our newest beer, the Oyster Saison, starting at 3pm. St. James will joins us at 6pm to host an oyster roast benefiting the North Carolina Coastal Federation, an organization that protects and restores coastal water quality and habitats throughout the North Carolina coast. Stick around for a showing of one of our favorite ocean movies on the patio at 8pm!